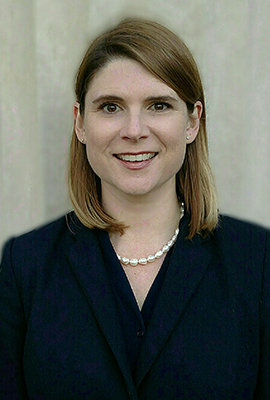 Amanda Trimble is a judge of the Juvenile Court for Georgia’s Western Judicial Circuit, comprising Clarke and Oconee counties. She is a former judicial clerk for the U.S. District Court for the Northern District of Georgia. Following her clerkship, she practiced in the Piedmont Judicial Circuit Public Defender’s Office for 12 years, representing indigent defendants in felony and misdemeanor prosecutions and appeals and representing parents and children before the Juvenile Court. She was appointed Juvenile Court judge in 2016. Trimble has served as an instructor at continuing legal education seminars, educating criminal defense attorneys and attorneys representing parties in Juvenile Court proceedings. She received her J.D. from Mercer University Walter F. George School of Law. While at Mercer, she served as senior managing editor of the Mercer Law Review, a student editor for the Journal of Southern Legal History and a member of the John J. Gibbons Criminal Procedure Moot Court Team.